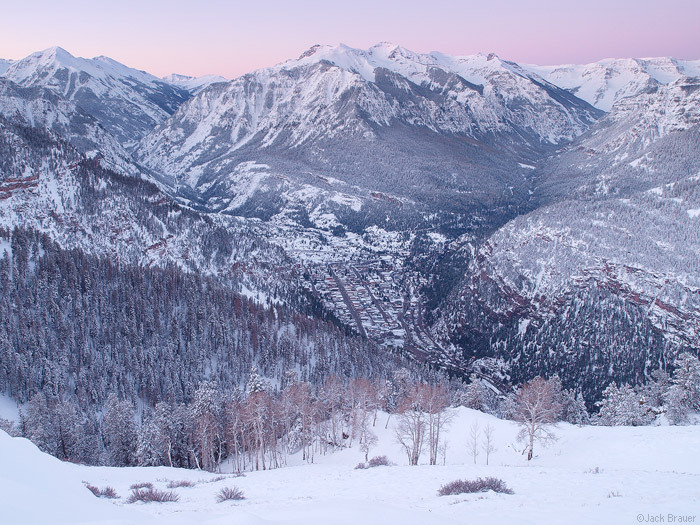 A springtime shot of Ouray from the lower Bridge of Heaven yesterday, and a winter shot from the same spot in April, less than two months ago! 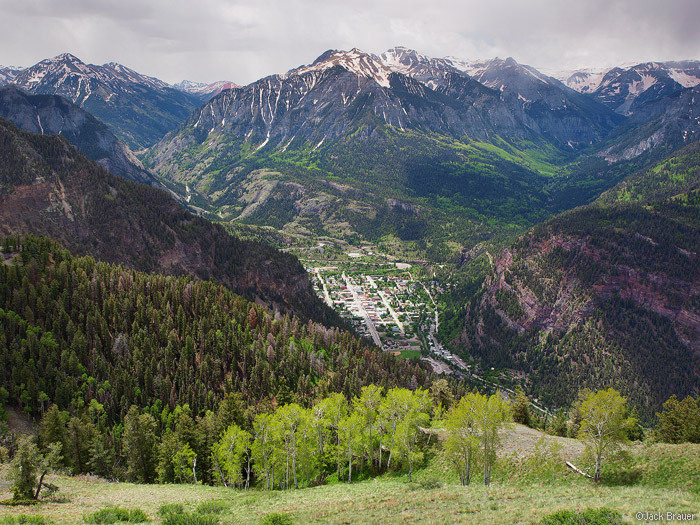 Posted in Colorado and tagged Colorado, Ouray, San Juans on June 8, 2009 May 19, 2013 by Jack Brauer. ← Previous: "Bridge of Heaven Dayhike"
That’s so awesome – looks like it’s time for a looooong walk! Are the San Juan’s getting consistent rains like just about everywhere else? Great shot…this really puts the area into perspective and is the definitive visual juxtaposition. Two down, two to go! I see a nice poster potential here.